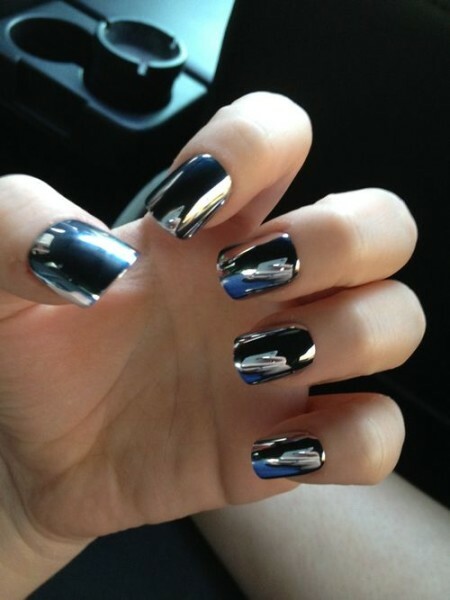 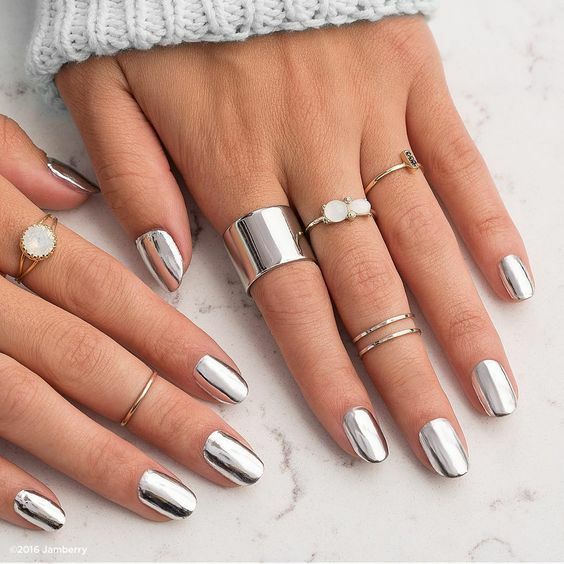 Metallic Nail Art Ideas You Should Try For Summer’17 – New nail trend we simply must jump on every day now, and we’re bringing you a brand new one in the form of metallic nail designs. 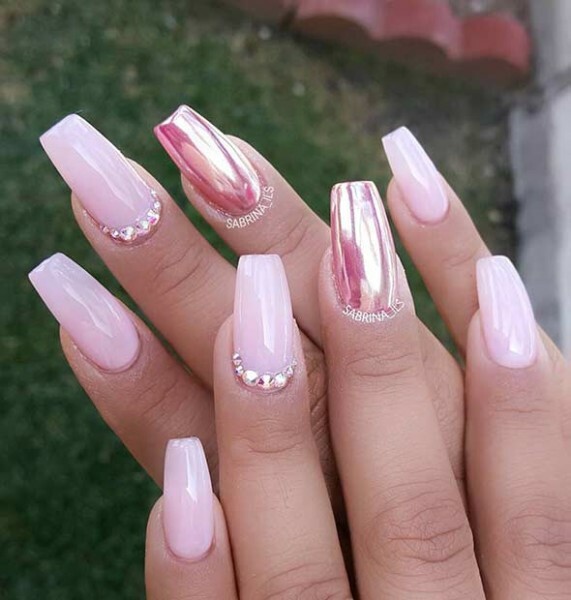 Metallic shades such as gold, silver, bronze and copper will be quite popular this year, so you should definitely choose to do your nails with these eye-catching colors. 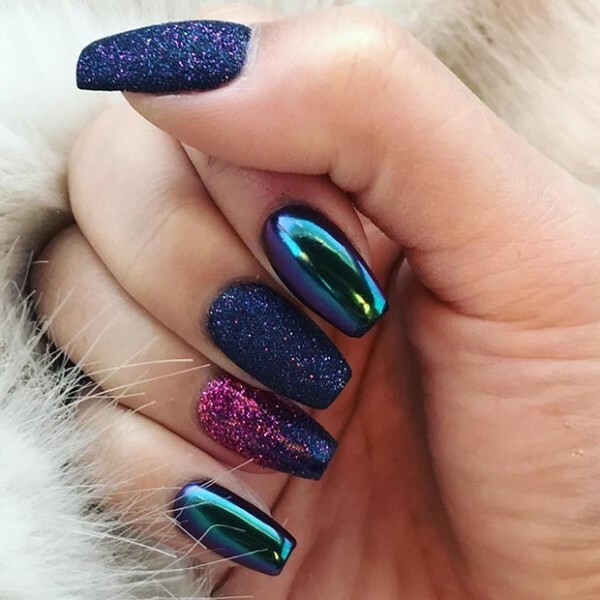 You may choose to polish your nails with some of these colors, or you can combine them with some other color which is definitely a better option. 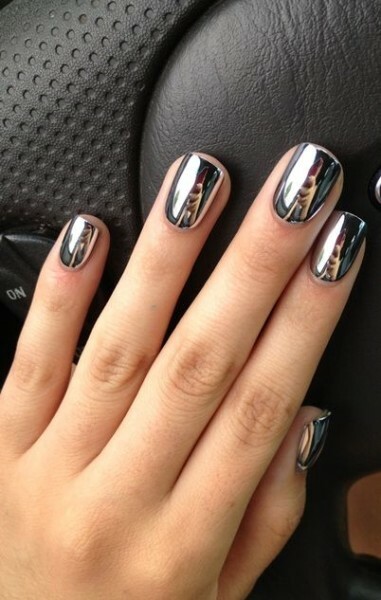 Metallic shades can look good in combo with any other shade so there are many possible designs to choose from. 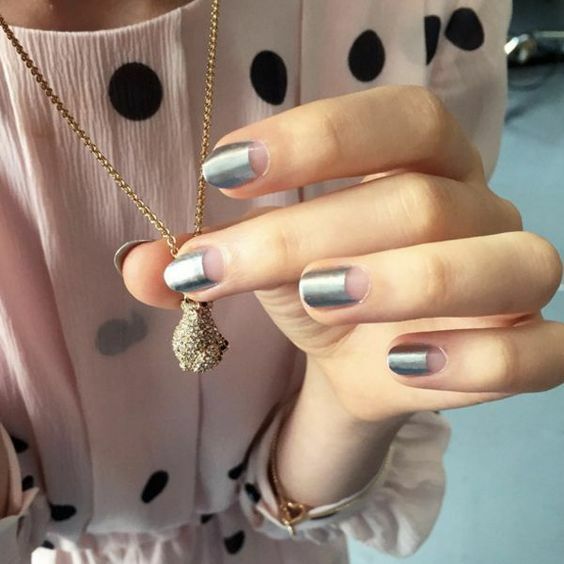 Go for some interesting pattern, like stripes, polka dots, geometric etc. 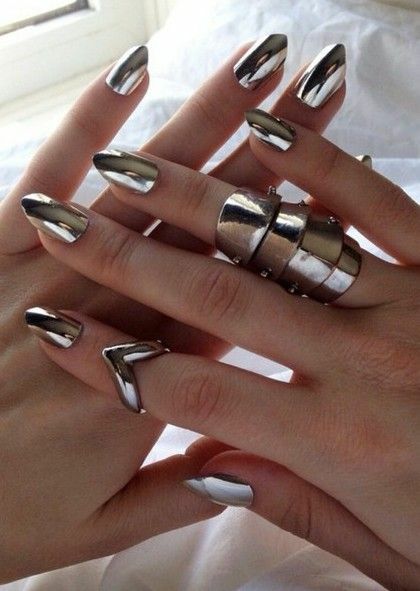 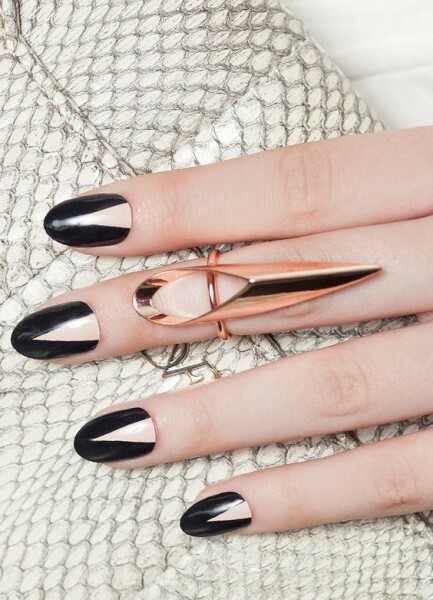 The future is now, and we’ve already fallen hard for high-shine metallic nail finishes. 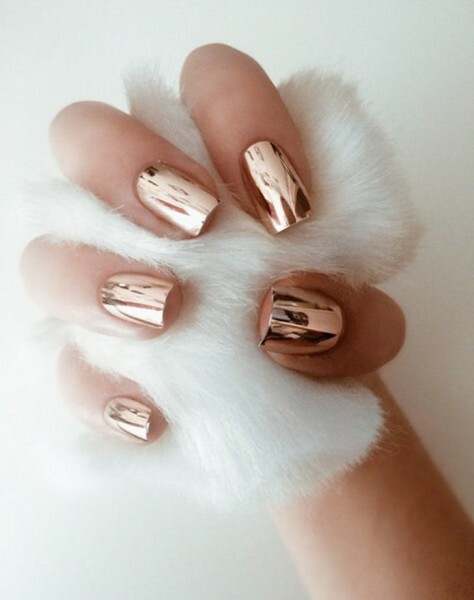 Go for rose gold if you’re feeling adventurous.